Litebook is the the latest kid on the budget laptop block. The company has launched a new Linux laptop and is priced so that anyone can afford one. Competing with the budget-friendly Chromebooks, Litebook packs a 14.1-inch display with 1,920×1,080 full HD resolution. It is powered by an Intel Celeron processor (N3150quad-core Braswell) coupled with 4GB RAM. You get a 512GB hard drive, with an option to get you an additional 32GB SSD to speed up boot-ups. The Litebook runs on an Elementary OS Linux software and ships with applications such as Chrome, Spotify, and PlayOnLinux pre-installed. There is also the WPS Office Suite that is compatible with Microsoft Office. It includes WPS Writer, WPS Presentation, and WPS Spreadsheets for no additional cost. For those looking to install Windows, all models of Litebook is capable of supporting Windows. Gaming enthusiasts can explore dozens of classic consoles through emulators, including Playstation, Gamecube, and DS. According to the official website, the Litebook has a 720p webcam, 9 hours of battery life, two USB 3.0 ports and an HDMI port. There is also built-in 802.11n Wi-Fi and Bluetooth 4.0 connectivity. “Litebooks are highly optimized, come without performance hogging bloatware, are designed to ensure your privacy, and are entirely free of malware and viruses,” asserts the homepage. Litebook starts at $249 and is available in Black, White, and Red colors. One year warranty is offered by the seller. Is the market suddenly is seeing a surge in Linux-based laptops? Just a while back we had the KDE Slimbook. 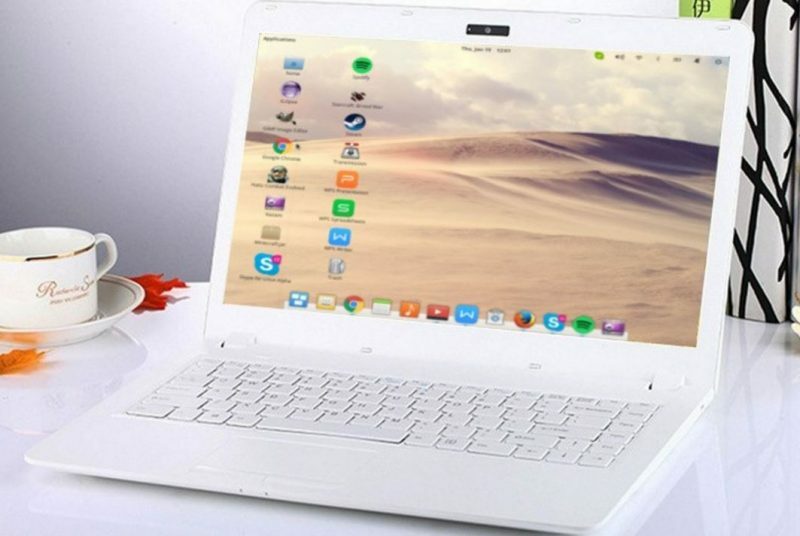 The 13.3-inch display laptop was developed by KDE community developers and Spanish brand Slimbook. It had a 2.3GHz Intel i5 processor (option for 2.5GHz i7 variant available), 4GB RAM and 120GB SSD storage. Upgrade of RAM and storage is possible. Priced at $779, the Slimbook runs on Ubuntu-based KDE neon operating system.